Our Tea Room is a warm and relaxed environment with vintage furniture cast by beautiful lighting. Dine in a cozy atmosphere and bring a guest to "high tea" in the tradition of British excellence. Our Tea selection is wide and varied. Our menu serves traditionally inspired cuisine from Britain both common & unique. Bring a friend & chat while being served like British Royalty. 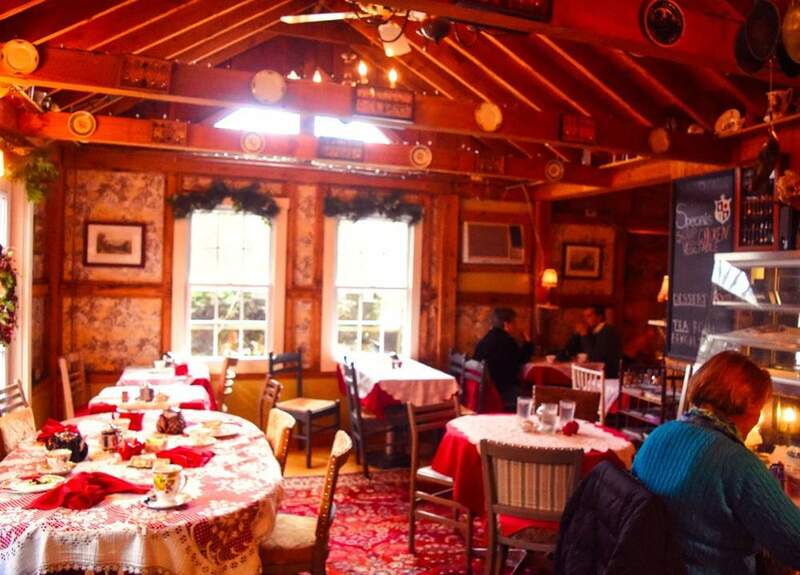 Come and Enjoy a Meal in our Cozy British Tea Room. Reminiscent of old British Tea Houses, our Tea Room is a sanctuary for friends and family to get together and have conversation in a relaxed and cozy atmosphere. Our Fare and Teas are perfect for a lunch gathering or cozy early dinner out.